ABUJAâ€”-The Economic and Financial Crimes Commission, INEC, on Wednesday, failed to persuade the Federal High Court to issue a bench warrant for the arrest of former National Chairman of the Peoples Democratic Party, PDP, Dr. Haliru Bello. EFCC alleged that Bello who is facing money laundering charges alongside his son, Abba, has jumped bail. The court had in May, granted an application the erstwhile PDP chairman filed to be allowed to travel abroad for medical treatment. However, according to the courtâ€™s directive, the Defendant, was to return to the country, 30 days from the date he was granted leave to travel. At the resumed hearing of the case on Wednesday, EFCC, through its lawyer, Mr Oluwaleke Atolagbe, applied for a warrant of arrest to be issued against the Defendant who was absent in court for continuation of his trial. EFCC accused the Defendant of violating the terms upon which he was allowed to travel outside the country for treatment. In his response, the defence lawyer, Mr. Solomon Umoh, SAN, prayed the court to refuse the application, stressing that his client never failed to appear for the case since his trial commenced. Umoh, SAN, pleaded for a short adjournment, even as he assured the court that the ex-PDP boss would be available for continuation of his trial. He told the court that his client was recuperating from a surgical operation. In a short ruling, trial Justice Ahmed Mohammed, while acknowledging that the Defendant never defaulted in his appearance before the court, said he was minded to grant the adjournment request. Justice Mohammed said the court was in receipt of a medical report that confirmed why the Defendant was not available for the proceeding. Nevertheless, the Judge said he would not hesitate to issue a bench warrant against Haliru, as well as to try him in absentia, if he fails to appear in court on December 13. Bello and his son are facing trial over allegation that they illegally received N300million from the office of the National Security Adviser, ONSA, without executing any contract. EFCC alleged that the duo siphoned the fund through the account of a firm, BAM Projects and Properties Limited, which was also listed as a Defendant in the case. The firm was allegedly managed by Belloâ€™s son, Abba. The anti-graft agency told the court that the fund, which it said was paid into the Sterling bank account of Abbaâ€™s company, 11 days to the 2015 presidential election, was part of N30billion the detained former NSA, Col. Sambo Dasuki, retd, withdrew from the Central Bank of Nigeria, CBN. 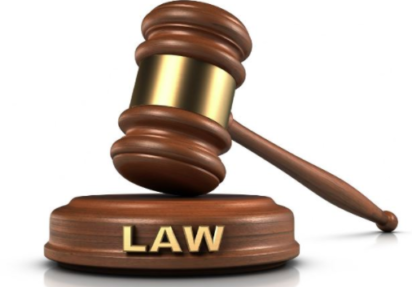 The offence the Defendants allegedly committed which attracts a maximum of 14 years imprisonment, was said to be contrary to Sections 15(2) (d), 17(a), and 18 (a) of the Money Laundering (Prohibition) Act 2011 as amended in 2012 and punishable under Section (15) (3) of the same Act.